While the iron ore price benchmark IODEX 62 has been range-bound for much of 2018, the spreads between high grade and low grade iron ore are widening to historical highs. Since May, the quality differentials for gangue elements also started to evolve. 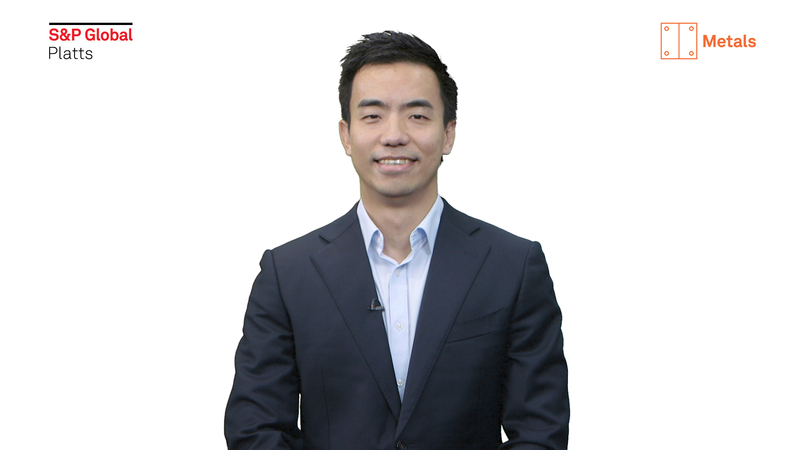 Jeffery Lu, senior research analyst covering the metals market, examines the changes in market fundamentals that are shaping the iron ore landscape. Welcome to The Snapshot, a series examining the forces shaping and driving global commodities markets today. Let's take a look how changing market fundamentals are affecting iron ore quality differentials. The iron ore market has been rangebound for much of this year. The benchmark IODEX 62 has been confined to a narrow range of 5 dollars per dry metric ton since March, and the lack of volatility has become a real concern. However, the spreads between high grades and low grades are showing a different story, widening to historical highs. Alongside that is the change in the differential penalties. Since May, S&P Global Platts quality differentials for the gangue elements such as alumina, silica and phosphorous have continued to evolve to reflect changing market fundamentals. As you can see on this chart, the most extreme moves have been on alumina differentials. Why? Because of China's environmental focus, strong steel margins, and the supply issue from Brazil and China this year. So where do we go from here? While our analysis shows that there will be near-term support to the differential penalties, it points to a cautiously bearish towards the end of the year. Based on the Platts cFlow data, we forecast an outstanding 470 million mt of iron ore shipment, estimated to arrive for the last 20 weeks of 2018, a bulk of which goes to China. This includes approximate 130 million mt from Vale, pumping low-alumina supplies into the pipeline. This happens on the back of the production cut during China's winter heating season, adding potential pressure to the differential penalties. Platts Analytics anticipates a direct impact on iron ore pricing, such as for the IODEX 62%, 58% and 65% Fe grades, with the spreads between the three expected to narrow down from the current levels. Alongside that are the differential penalties, which could also come under pressure, across the fourth quarter of 2018. However, a sharp fall of the ore penalties going back to early 2017's level is also unlikely. Increased environmental pressure from the Chinese central government will likely support the steel mill margin, providing mills with ample cash flow and incentives, to procure higher quality iron ores with lower impurities. This, on the back of the changing specs of Australia's iron ore fines, which points towards higher alumina and phosphorus, could keep the differential penalties a little higher than they used to be.